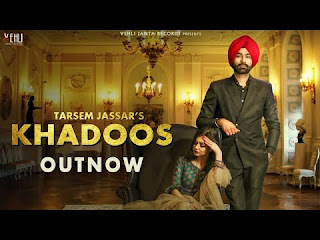 Khadoos Lyrics - Tarsem Jassar is a punjabi song composed by Tarsem Jassar and also sung by him. Khadoos Lyrics – Tarsem Jassar: This is an amazing Punjabi song sung, composed and written by Tarsem Jassar while its music is given by R Guru. Manpreet Johal has produced this song and Vehli Janta Records has released it.